Welcome to April, Mibba! This month, we’re challenging each and every single one of you to up the ante and become a little more active on the site. Below are a series of tasks to complete, based on the different sections of the site. Your aim is simple: starting April 1, 2019, complete as many of the tasks below before May 1, 2019. Leave a ‘tracking post’ in this thread, ensuring you include the list of tasks so that you can tick them off. During the event, you can link to evidence that you’ve completed each task in this post: this can be a link directly to a piece or a screenshot. All posts should be updated with final totals by May 1. Your post should look something like this. Remember to come back and update your post when you complete a task! The prize for this challenge is a custom rank, which can be used for the month of May. The number of tasks you complete will determine which rank you will receive! Share some inspiring poem prompts! Welcome a new Mibbian to Mibba! Give a random compliment to a fellow Mibbian! 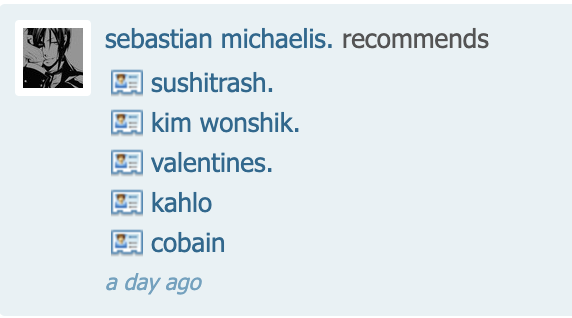 ➤ Post a recommendation blog. ✔ Complete! ➤ Post a blog survey. ✔ Complete! ➤ Recommend five blogs. 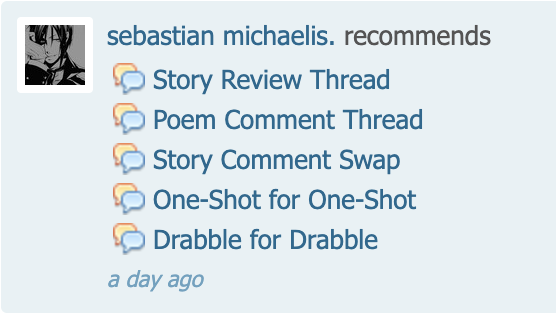 ✔ Complete!Stories➤ Leave a comment of at least 100 words on someone’s story. ✔ Complete! ➤ Recommend five stories. ✔ Complete! ➤ Recommend five poems. ✔ Complete! ➤ Create a public poem layout. ✔ Complete! ➤ Recommend five articles. ✔ Complete! 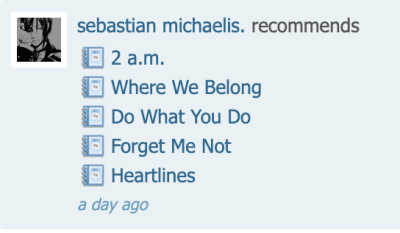 ➤ Post a detailed review of at least 100 words on an article. ✔ Complete! ➤ Comment on another three articles. 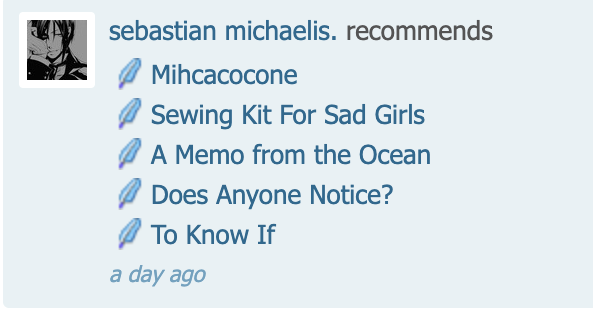 ✔ 1 • 2 • 3Forums➤ Recommend five threads. ✔ Complete! ➤ Post your opinion in a discussion thread. ✔ Complete! ➤ Post in a game thread. ✔ Complete! ➤ Post in one of the threads in the Writing Tips forum. ✔ Complete!Users➤ Welcome a new Mibbian to Mibba. ✔ Complete! ➤ Recommend five users. ✔ Complete! ➤ Give a random compliment to a fellow Mibbian. ✔ Complete!Your Choice➤ Submit a new piece of creative writing to Mibba. ✔ Complete! ➤ Post a 100-word comment anywhere on the site. ✔ Complete! ➤ Participate in a comment swap. ✔ Complete! ➤ Send another Mibbian a gift (story layout). ✔ Complete! ↣ Share some inspiring poem prompts! ↣ Welcome a new Mibbian to Mibba! ↣ Give a random compliment to a fellow Mibbian!